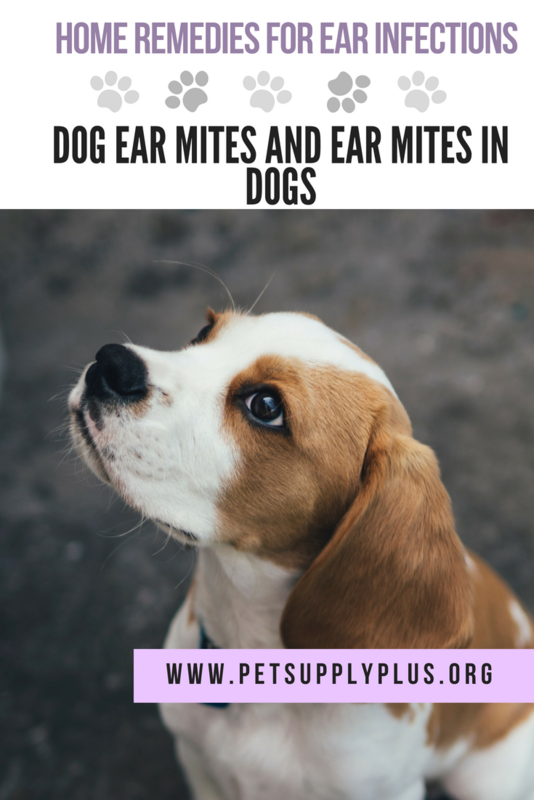 Ear mites in dogs is a very common issue but if not treated on time it can lead to serious problems like an ear infection, your dog may become deaf. You right treatment must be done as soon as possible. There are many home remedies available which are very effective and is not harsh on the skin. But before the treatment make sure you consult your vet about it. Ear mites usually search for a comfortable home to live it. A warm furry dog is the best place. Ear mites feed on the ear wax and the oils in the ears. A female mite lays eggs after every few days. It takes around a week or more for an egg to become an adult. An adult mite can live up to two months. Ear mites are very small, you can hardly see them with your naked eyes. You may need a magnifying glass to check your dog’s ear. But even if with a magnifying glass you can’t see a single ear mite, it could be possible that the ear mites might have entered the deep parts of the ear. You must take your dog to the vet, as your vet will properly diagnose your dog’s ears using tools and machines. If you see the following symptoms in your dog then there are chances that your dog may have ear mites. Pain while touching the ears. Redness inside and around the ear. You may notice all these signs if your dog is suffering from ear mites. EcoEars | 1 Dog Ear Cleaner – All-Natural – Infection Formula. For Itch, Head Shaking, Discharge & Smell. Multi-Symptom Ear Treatment Cleans Away Most Dog Ear Problems. 100% Guaranteed. You need not worry, there are many ways in which you can treat your dog. The choice is up to you whether you want to choose chemicals or natural ways. There are many natural ways to treat your dog, which are cheap and effective. Most of these items will be in your pantry itself. White vinegar is a natural acid which will clean the dirt and wax from for dogs ear and will also kill all the ear mites. You need to take one teaspoon of white vinegar and 2 teaspoons of warm water, mix them and using a dropper put two — four drops in your dog’s ears. Also, apply it to the ear so that all the mites are killed. Massage it for a while, you have to do this treatment daily for about a week and wait for signs of improvement. You can also use corn oil for treating your dog. Corn oil will help soothe the skin and also kill the mites. Using an ear dropper put three to four drops of oil in your dog’s ears massage gently with a cotton ball. You have to do this process daily for about ten days. A mineral oil treatment takes a long while, but its effective in a long run. Mineral oil will kill the mites at will also stop them from feeding themselves in the ear. You need to take two to three drops of mineral oil. Using a dropper put it inside the ear or else you can also soak a cotton ball in the mineral oil n use it to clean the ear. Make sure you also clean your dog’s bedding and cage and give your dog baths two to three times a week. This will ensure that your dog is fully free my mites. By doing these things you can relief your dog from the itching and irritability caused by the ear mites.